Old Cambrians around the world will have noted the stand-in role played by their school in the film Out of Africa. The Prince of Wales School main building proved to be a convincing Government House, for it was designed by the same architect and built at the same time. Sir Herbert Baker (1862-1946) was one of the most famous British architects of the early 20th century. It is no coincidence that his work included the design of South Africa House in Trafalgar Square, London, and of India House in the Aldwych, for some of his greatest achievements may be seen in those countries. In South Africa, he directed the rebuilding of Cecil Rhodes’ house Groote Schuur (now the residence of the President) and went on to design St George's Cathedral, Cape Town and, most notably, the Union Buildings in Pretoria. In New Delhi he worked with Sir Edwin Lutyens on the design and construction of the administrative buildings of the government of India. Baker goes on to write: “The Governor and Director of Education were much concerned to provide a healthy education for the European youth under the conditions of the climate. So with their encouragement I designed a school at Nairobi with a crypt as a playground – like the undercroft of Wren’s library at Trinity College, Cambridge – where the boys could stay at mid-day instead of going home under the vertical rays of the sun.” Those of us who were at Nairobi Primary School (originally known as the Nairobi European School) will recognize this description of the Pillared Hall on the lower ground floor of the building and may recall the headmaster, Pa Barton or Reverend Gillett or Pa Buckingham, addressing the assembled multitude from a gallery. There was a purpose-built gym above, under the stern control of Ma Bradish, owner of the most distinctive small car in Nairobi. 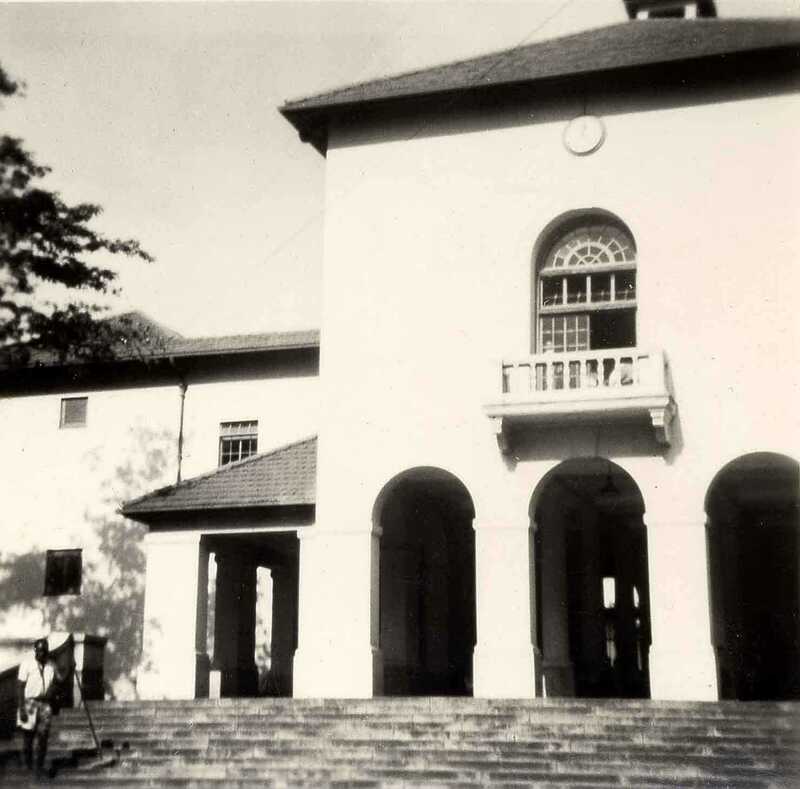 This was used as an assembly hall by the Kenya High School girls until they moved to Kileleshwa in 1951. Baker continues; “At the larger ‘public school’ at Kabete all the detached classrooms and houses were designed and built with connecting colonnades, in which respect I followed the excellent example set by President Jefferson in his beautiful University of Virginia.” The use of colonnades also complied with advice given to Baker by T E Lawrence, who regarded the tropical sun as "an enemy" and told him “All pavements should be covered over with light vaulting.” The foundation stone was laid by Sir Edward Grigg on 24 September 1929, and the Prince of Wales School was opened in 1931. The Academical Village at the University of Virginia has as one of its principal features a rotunda, based on the design of the Pantheon in Rome, where Jefferson was American ambassador in the early nineteenth century. The Prince of Wales School cannot boast a rotunda, but alumni will recall the Temple, a circular columned structure on the west side of the quad (between the gymnasium and the main dining hall), complete with semi-circular stone bench and incorporating some memorial plaques. Baker continues: “These and other schools, one for Indians (the Duke of Gloucester), were an important part of my work in Kenya. Elspeth Huxley, in her book White Man’s Country: The Making of Kenya (1935) says: ‘Other schools sprang up at Nakuru, Eldoret, and Kitale. Solid, enduring buildings, walls of whitewashed stone and roofs of red close-socketed tiles, cool, open balconies and lofty rooms; they dominated the little up-country towns, still in the chrysalis stage of hotly shining corrugated iron, near which they were built.’” Bearing witness to Huxley’s words, Nakuru School looks handsome and well-preserved in its role in the award-winning film Nowhere in Africa. Comments and reminiscences are welcome and should be sent to the Webmaster. Perhaps I can make a comment on the remarks regarding Nairobi Primary School, where my Dad was Jimmy Gillett's deputy from late 1946 to late 1948 or early 1949. I remember my Dad expressing surprise at the quality of the gym, remarkable in his estimation, for having a fully sprung floor - whatever that entails. 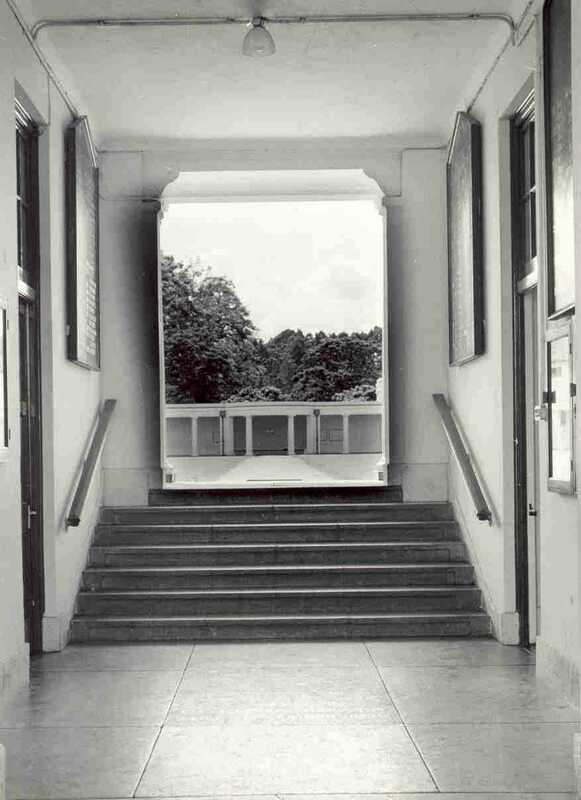 So I believe it was designed as a gymnasium, although it probably doubled as a hall for KHS in those days - an inversion of the primary and secondary roles as expressed in your piece. (The article has been amended accordingly. Ed.) 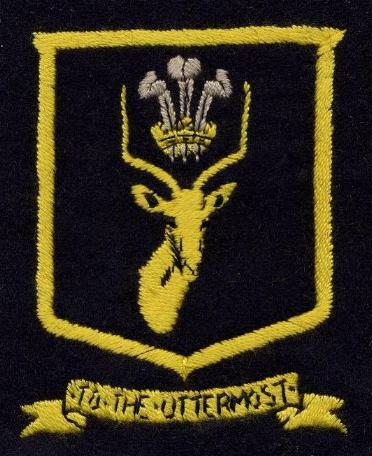 Certainly it was used for our gym classes when I was at the school in 1947. The instructors at that time, perhaps doubling up for KHS as well, were a husband and wife team by the name of Yonkey (that's phonetic spelling!). I believe they were from Czechoslovakia and both were distinguished gymnasts, perhaps before WWII, but I don't remember clearly what I heard about them. I think they were also "stateless" at that time. Thanks very much for the feature on these two brilliant architects. As a former pupil of the Hill School, Eldoret (especially the old school) and as an Old Yorkist, I must admit I am quite envious of those Sir Edward Grigg inspired and Sir Herbert Baker designed school buildings which were a feature of my rival schools: the Central/Highlands School, Eldoret and Prince of Wales School, Nairobi. Last year, when returning to Kenya, in addition to revisiting my schools I took the opportunity to visit three of these Sir Herbert Baker designed schools: Nakuru School, Central/Highlands School, Eldoret and Prince of Wales School, Nairobi. The way that they have withstood the ravages of time compared with other schools is a really testament to these two exalted gentlemen. During my trip, I also attempted to rediscover a Jan Hoogterp designed mansion where I used to crawl and walk around as a toddler – without luck. I reckon that mansion is still around. 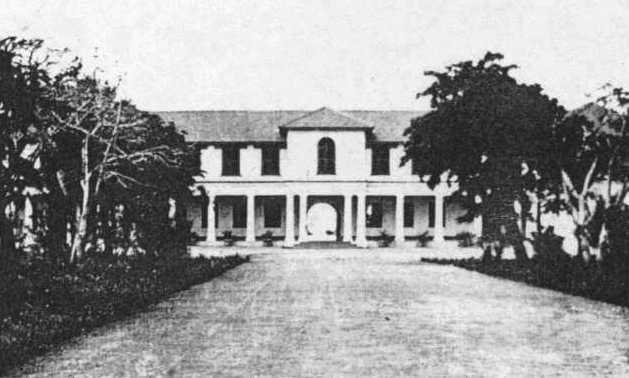 The late Hoogterp designed mansion was built for the turn of the last century American entrepreneur Billy Sewell, who was one of the three partners in the “famous” Boma Trading Company established at that time. When my father managed the farm in the 1940’s it was known as Forest Farm. On my return to Sydney I later discovered a reference to a Kikapu Farm in a post Uhuru map where Forest Farm had previously been located. I am attaching photos of the mansion, surrounding gardens and manager’s house in case any body recognises it and more importantly can verify or not if it is still around today. Yours truly also features in some of these photos as a toddler. I also attach photos of the schools mentioned above - as they were newly built and also as they were a year ago. Much enjoyed the feature article by my onetime classmate, Christopher Collier-Wright. 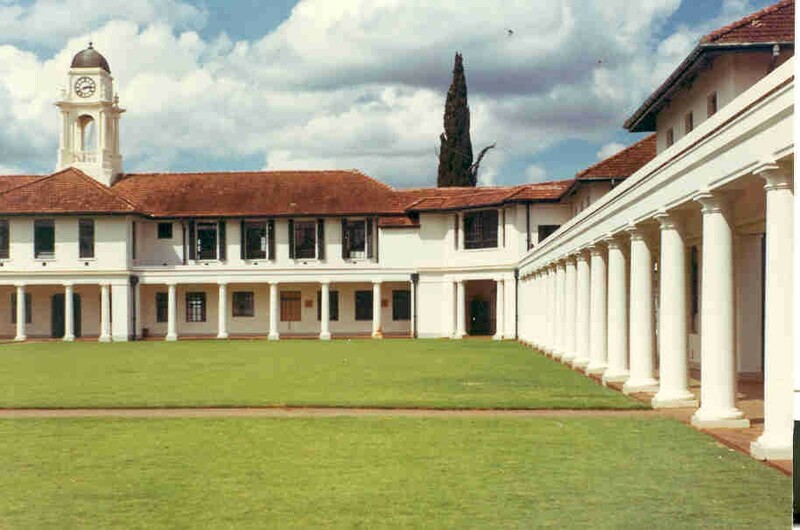 It reminded me of one--no doubt unintended--use to which both the colonnades at Prince of Wales and the Pillared Hall at Nairobi Primary were put. Both places were excellent for roller-skating. At PoW this was possible only during school holidays--and then Dougal Gammie would occasionally complain at being disturbed! The attraction there was being able to build up speed before taking the corner towards the clock tower. The Pillared Hall at NPS was regularly used at weekends during term, where the ultimate game was to form long trains of skaters who would circle in and out of the pillars! Many thanks for drawing my attention to this article. The portico of Government House in Mombasa is indeed one of the most beautiful places on earth.